goes off in his joy, sells everything he owns and buys the field. The motif of the Self as hidden treasure also permeates alchemy, that esoteric pre-scientific approach to matter and the world, in which Jung took such an interest in the later part of his life. The goal that the alchemists sought was not to create ordinary gold from lead, but to create something called “the philosophers’ stone”, an absolutely incorruptible and indestructible substance. Jung acknowledges that, from a scientific point of view, the way the alchemists went after this goal made no sense, but what gripped him was the underlying symbolism. Jung saw in the “philosophers’s stone” a potent symbol of the Self, in this case, hidden in matter and awaiting discovery, a treasure guarded in secrecy by the alchemists. Jung believed that some of the later alchemists such as Gerhard Dorn came to realize that what they were seeking in their alchemical work was not a physical, but a psychological reality, and that it was that reality that the symbol of the philosphers’ stone or “son of the philosophers” as it was sometimes called was pointing. At the base of all this symbolization there lies a profound and precious truth about human existence. It is a truth about the nature of the human self. At the core of each of us, there is that element in us, an awareness, that is unique and precious, that defines what we most fundamentally are. Sometimes that is represented symbollically as a hidden treasure, sometimes as a gemstone, sometimes in a variety of other ways. This is the core of ourselves, symbollically represented. And there is a bit of a paradox about its nature. Certainly, symbollically, it is often presented as something that is so precious because it is incorruptible, even indestructible. Yet, there is a danger concerning the self to which symbol and myth point. It seems that it is possible for us to lose this treasure, to have it taken away. 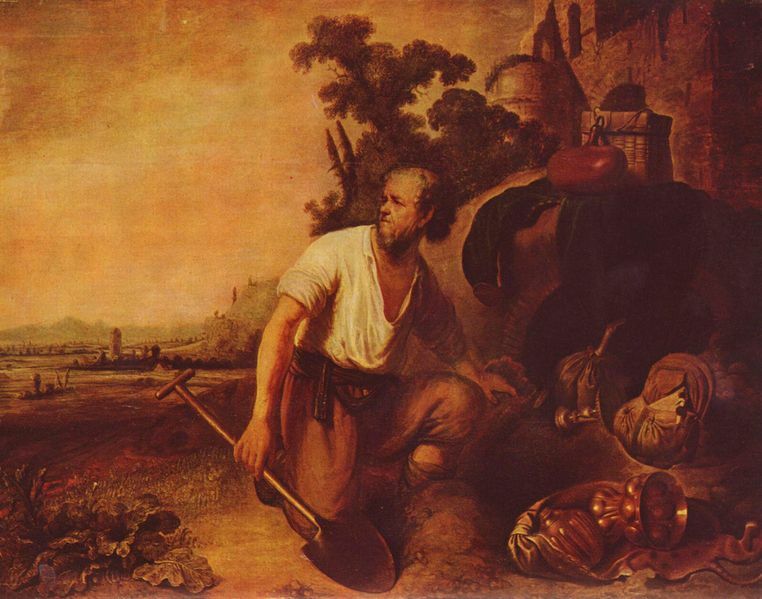 Somehow it needs to be guarded and treated with vigilance — like the individual in the parable who joyfully finds the treasure, but then hides it carefully again, until such time as he can go and buy the land in which it’s buried. Sometimes, people learn this lesson as a result of the guilting, shame or ridicule of those who are close to them. Sometimes what happens really does look like a theft of the self: for instance, a young person will get the message very directly that a parent or other significant person cannot tolerate or deal with who the young person really is, and so that person (often unconsciously) manufactures a false self tp placate the other. Sometimes a person will give themselves whole-heartedly in relationships — and then find her- or himself deeply betrayed. As a consequence, these people learn — sometimes unbelievably well — that the true self has to be hidden away, that they cannot dare reveal who they really are to the people closest to them. It is then very easy for this lesson to get generalized out to take in the whole world. It can be come a reflex to feel that nobody wants me, or wants to know who I really am. Then the only way I get through life is to “keep my head down”, in despair, and just try and keep my joys, my needs — anything at all about me — from getting noticed, and that any encounter of another with me will only result in guilt, rejection and shame. As is very often the case, it seems to me, when you are looking for someone to express some aspect of modern consciousness, you very often cannot do better than the Beatles. Here they are, singing a song that is profoundly “on the money” about the need to hide the true self — “You’ve Got to Hide Your Love Away“. For such an individual, getting the self back, and spontaneously living out of it, is a key priority. The reason for that is that, without that sense of acting and reacting out of our actual self, our life simply doesn’t feel real to us. Psychotherapy with the right therapist may be an essential part of this self-recovery. An effective psychotherapeutic approach will allow you to get at the deeper reasons for hiding the self. Many of those reasons may reside in the unconscious, and it may be that only as a person uses the therapy as a “laboratory” for exploring him- or herself, that they can begin to develop a sense and a comfort for what it is to live out of the self. Most people at one time or another have had to wrestle with the feeling that who and what they are is not acceptable to others. Has that feeling ever been a part of your experience? If you would be willing to share your experiences, either in a comment or an email, I would welcome the opportunity to share and dialogue with you. Andrea Huffington commented recently in the Huffington Post on Sarah Palin’s use of archetypal imageryin the political ads that she has recently run with incredible success online. Huffington seeks to use the concepts of Jungian psychology to analyze Palin’s message. In my opinion, it’s a fruitful approach. Huffington believes that Palin has unconsciously used images that are archetypal, and that, because of that, these images resonate with people powerfully on the unconscious level. 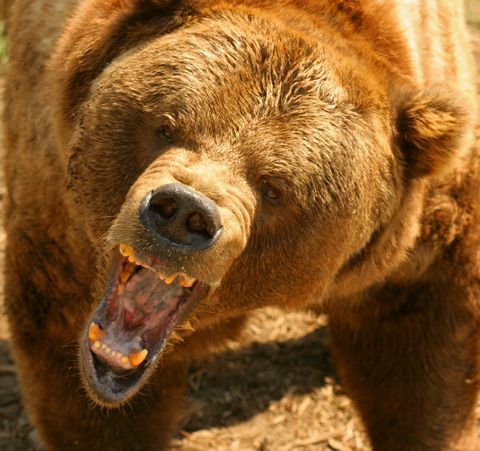 Certainly, “mother” is a powerful archetype, as is the symbol of the bear, which has possessed great meaning in human cultures throughout the world. While Palin may have unconsciously hit upon this approach, historians can point to similar highly manipulative tactics used by propagandists throughout history. Of course, the past masters of this kind of thing were the Naziis, particularly Hitler’s propanganda genius Joseph Goebbels and Adolf Hitler himself. Palin tells us, “Moms just kind of know when something’s wrong.” Perhaps. But it is important to distinguish between two very different aspects of the mother archetype, and how they might affect us. Like all archetypes, the mother archetype has a negative and a positive pole. That is, there are manifestations of the archetype that foster human growth and individuation, and there are manifestations that hinder or hobble such development. The archetype can manifest as “positive mother”. This happens, for instance, when a mother gives messages to her child that are affirming, and that give a sense of fundamental rightness to the child’s existence. A child growing up with this kind of message and support from the mother may very well grow to have a lot of confidence in themselves, and in life. At the other end of the spectrum is the negative mother, including “smother mother”. This is the mother who undercuts the child fundamentally, and destroys the child’s confidence in what he or she is, his or her own powers, and in the goodness of life. So this leaves us with the question of what kind of mother it is that Palin is evoking with her “Mama Grizzly” images. Is this mother life-giving and empowering, or fundamentally undercutting, disempowering, and perhaps smothering? Is Palin’s “mama grizzly” a mother who affirms individuality and uniqueness, or a mother trapped in standardized, stereotypical and ultimately mother roles? What’s your view? The archetype of the mother is indeed powerful, and I hope to explore the nature of positive and negative mother archetypes in future posts. It is now quite clear that Jung’s Red Book, which I wrote about in an earlier post, has created quite a stir in certain circles, and has been very well popularized. It has had quite an impact in cultural and literary circles, and has gained a lot of attention in the media since its publication. On the whole, those who appreciate Jung’s psychological work must necessarily feel good about this. Those of us who are passionately convinced that Jung has something profound to say about the human psyche and about life in our time cannot help but feel joy that his message is getting out more widely and deeply in our society. However, it is hard at times to avoid the feeling that Jung’s legacy is suffering from an approach that is overly-commercialized. I don’t fault W.W. Norton for a moment for bringing the Red Book to publication, even though Jung himself was very clear that he did not want it published, at least not in his lifetime. The Red Book documents Jung’s own profound psychological struggle in a manner so eloquent and deep that it is difficult if not impossible to describe. The world owes the Jung family, the Philemon Foundation, editor Sonu Shamdasani and W.W. Norton a huge debt for bringing the Red Book to the world. In the sincerest possible way, I thank them all. But do we really need mystifying and sensationalistic messages associated with it, such as the following? Jung’s Red Book is a magnificent record of his interior journey through the most profound crisis of his entire life. It is as if at every turn of the page Jung meets us, personally, with the same wrenching, implacable questions that he meets himself as he descends into his own depths. Who are you? What are you? What are the unknown elements of yourself? Do we really need this profound encounter opened up for us on the lecture circuit? Or in webinars? Or in talk show formats with Jungian analysts and pop culture celebrities? Can we honestly persuade ourselves that Jung would have wanted this? Frankly, who are we trying to kid? As Jungian analyst Wolfgang Giegrich is at pains to remind us, Jung’s Red Book is not “The New Bible”. Those of us who love Jung need to be careful not to portray it as some kind of divine revelation composed by a semi-divinity which answers all questions. It’s the record of a very human struggle by someone who was ready to encounter his depths and ready to try to acknowledge his weakness and the inferior and broken parts of himself. If we read the Red Book carefully, we’ll encounter Jung’s shadow. We may not always like that and may be uncomfortable or even shocked by it. Nonetheless, it’s a reminder that here was a human being much like you or me, who really wrestled with his darkness, and fought his way into it and through it to his own unique selfhood, and his own healing. And he invites us to do the same. 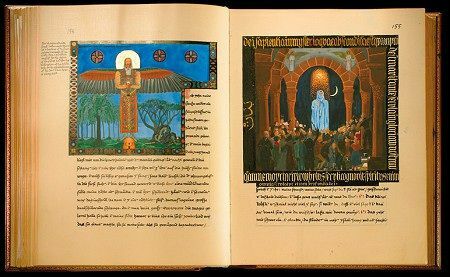 Have you had any experience with Jung’s Red Book, reading it or seeing one of the current exhibits? I’d love to hear about it if you have. VIDEO CREDITS: © W.W. Norton & Company; © Digital Fusion Creative Technologies Inc. These images are the property of W.W. Norton & Company and/or Digital Fusion Creative Technologies Inc. and are used here in the fair use context of critical discussion. …I asked him why he thought the whites were all mad. “They say that they think with their heads,” he replied. Everything has been “figured out”, except how to live. In Part I and Part II of this series “Anxiety Behind the Mask”, I’ve been exploring the symbollic meaning of the pop cultural figure of Iron Man. He is certainly a symbol for the relationship in our culture between the social mask and the inner human, and for the yearning that the social mask be smooth and impenetrable. However, there is great psychological danger in complete identification with such an impervious persona: it can become a trap, become robotic, with no way left for the inner person to “get beyond the mask”. One of the elements from the story of the origin of Iron Man is that Tony Stark, who becomes Iron Man, has heart trouble. 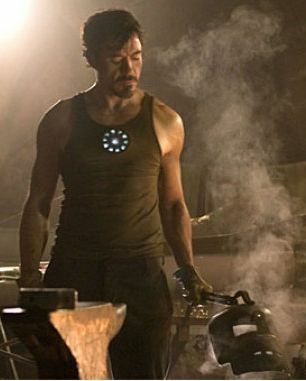 As the first Iron Man movie shows, he is injured in the process of his capture, and has to be fitted with a special magnetic device to keep shrapnel from ripping apart his heart. There is of course a tremendous importance to the symbolism of the heart. It is the seat of the feelings and of passion. It is also the particular organ associated with eros, which includes but is more than the power of sexual love. Eros is also the human capacity to connect and relate. The place where our yearnings are located. The place where hope and despair alike find their home. Tony Stark is portrayed as a technical genius, someone who can create the most incredible machines. As a hero figure, he symbolizes the incredible technical prowee of our culture. This kind of technical knowledge exemplifies the tremendous power of rational thinking — what Jung identified as the principle of logos. It is characterized by the ability to organize, quantify, discriminate, classify, and strategize. But logos is always pulling things apart, using conceptual power to break things down into their component parts, and make them less than they are. Our ability to do this as a species is a great strength, and has contributed mightily to the survival and success of our species. It is a cornerstone of western civilization, and we all glory in our scientific and technical acheivements. However, this scientific and technical prowess can leave us completely isolated and alienated from our world, nature, and other people. And above all, it can leave us cut off from our inner selves, from our true ability to feel things, and to relate to others and to our world. Like Tony Stark, the Iron Man, who is a symbol produced by our culture’s collective consciousness, it is all too easy for those of us who live in our culture to have “heart trouble”, to have lost touch with our ability to feel, to empathize, to relate. But, as Leonard Cohen seeks to remind us, the truth of the heart is never really lost. It is always there waiting for us, even when we seem to be in exile from ourselves, even when the world seems to say, “this heart, it is not yours”. Here are some questions that may help the conversation with your own heart. Are there any feelings that you would find hard to share with the people closest to you? What are the three most painful experiences in your life? What are the three most joyous experiences in your life? What is it that you really yearn for? What about your own heart? It’s only by staying close to it that one can begin to be close to the spontaneity and aliveness that is one’s own real life. Often, the course of analysis, therapy or counselling is following the road back to the deepest parts of the heart. I’d welcome your reflections on the “heart trouble” of Iron Man and the ways in which it reflects our own struggles with our hearts, as individuals and as a culture. PHOTO CREDITS: © Marvel Entertainment, LLC These images are the property of Marvel comics and are used here in the fair use context of critical discussion. VIDEO CREDIT: “By the Rivers Dark” by Leonard Cohen, from the album Ten New Songs © 2001 Sony Music Entertainment Inc. This music is the property of Sony Music Entertainment and is used here in the fair use context of critical discussion. I'm NOT Merely "One of 7,000,000,000"! Sometimes you read something in the newspaper or online that strikes you as just plain wrong. That was my reaction when I read a recent article in the Globe and Mail, 7,000,000,000 grains 7,000,000,000 stories. It seems that James Yarker, of the theatre collective Stan's Cafe had a great deal of trouble visualizing the enormity of the number 7,000,000,000, which is approximately the number of human beings on the earth. I can sympathize with that. Who wouldn't have trouble with that kind of number? However, Mr. Yarker's response was to create a huge display of piles of grains of rice, representing the number 7,000,000,000 in its entirety. He used 112 tonnes of rice to do this, then later had to add more because the earth's population had increased. So each of us is represented by one of Mr. Yarker's nondescript little rice grains, buried somewhere in one of his huge piles of rice. While I have no wish to attack Mr. Yarker personally, this expression is an image of the human condition that I consider extremely inaccurate and unfortunate — even destructive. Not to mince words, it is anti-human and anti-art. From what I know of Carl Jung from his writings, I'm sure that he would have pretty much the same reaction. Throughout his life, Jung was an advocate of the individual, and an opponent of any approach which obliterated the individual by reducing him or her to the merely average or statistical. His point was that no human being is average: each human being is a unique phenomenon. It can take courage to accept one's own uniqueness. 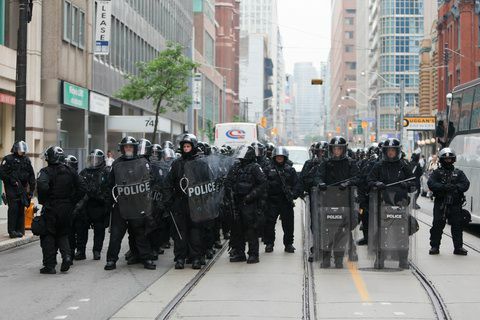 It can also take courage affirm the value of that each of us as individuals lives or experiences in the face of the overwhelming and seemingly faceless crowd. Nonetheless, it's essential to remember that no one else can live the life that you or I have been given. It also means that we have to find our own meaning, and our own solutions to the particular things that confront us in our life. We can enlist the help of others, and in fact, we certainly should do so. But when it comes to "crunch time", we must make the decisions, and live the life that is ours. I challenge each of my readers to reflect carefully and deeply on his or her individuality and uniqueness. Sometimes it's tempting and easy to "bathe oneself in the crowd", as Baudelaire describes it, and so not to take my individual life seriously. But there is nothing so fundamental to us as our own subjective being — nothing of such infinite value. Can I really look in the mirror? And take in the mystery and the glory that is my own being? One thing is for certain: the one who stares back at me from the mirror is no mere clone or rice grain. Can I make my peace with that one? Thank you to all those of you who have commented on my posts recently, and especially for your comments and questions about individuality and the individuation process. As always I welcome the comments of those who read, and any suggestions or possible topics that you might have. Get "Vibrant Jung Thing" posts delivered to your email using the "FeedBurner" box in the left column! We live in a society and a time when this has become a burning question with which many men are struggling. The old understandings of maleness and masculine identity don’t work any more, but what are we supposed to put in their place? Recently, I attended a production by Toronto’s Soulpepper Theatre of the David Mamet play Glengarry Glen Ross. Director David Storch and the Soulpepper company have succeeded in giving us a very provocative production of a rather well-known play. I had read the play, and was familiar with the excellent film version with Jack Lemmon, Al Pacino and Alan Arkin, but I feel that what Soulpepper’s version particularly opened up for me was the dilemmas around masculine identity in which the men in the play find themselves. This is a play in which macho male identity fairly runs wild. The setting is a suburban Chicago real estate office in the early 1980s — at the time of the last big economic downturn. Things are obviously desperately difficult for the salesmen in this office. Few sales are being made. To make things that much worse, the management of the office initiates a particularly brutal sales contest: first prize, a new Cadillac; second prize, a set of steak knives; and, the bottom two sellers end up fired. The atmosphere that is created is a hideous stew of competitiveness, bravado, insecurity and intrigue. The salesmen are brutally competitive, and obsessed with the question of who is up and who is down. The salesmen’s competitiveness co-exists with their deep yearning for respect from the other men, and with strange, agonizing moments when the men stand revealed in their desperate vulnerability. If there is a tragic figure in the play, it is Shelley “the Machine” Levine, a salesman in his 50s. Once celebrated as an unstoppable selling machine, Shelley has now lost the ability to sell. He oscillates between pathetic begging, verbal abuse of others, obnoxious triumph and utterly craven despair. He is trapped by the outer situation in which he finds himself, but also by his own relentless drive for success, which in his case can only mean that he is able to demonstrate his power and virility by outstripping and humiliating other men in the office. These salesmen understand themselves to be “men”, i.e., “real men” as opposed to the bureaucrats and paper pushers whom they feel are taking over the world. The world of cutthroat competitiveness, deceit and inescapable isolation is what they understand to be their masculine birthright. In watching these men, trapped by their circumstances, certainly, but above all, trapped by their individualism (not to be confused witn individuation! ), insecurities, and by the hard but brittle masks they are compelled to present to each other and the world, it is hard to avoid the question, “Is that all there is?” If so, things must seem to be pretty bleak for males. Clearly Mamet portrays an extreme situation in excruciating and eloquent detail, but the questions that Glengarry Glen Ross raises are deep indeed. How can men relate to each other without the demon of competitiveness destroying the possibility of friendship or even respect? Is male self-esteem only to be achieved by winning competitions with other men? Can a man show his vulnerability and humanity to another man without being humiliated for doing so? How can I ever feel secure in my identity as a man? These are questions I hope to explore in the next part of this series. If you have any comments on this blog post, as always, I’d welcome them. Also, if you have any topics or subjects that you’d like to see here, please let me know. I value greatly the input of those who take the time to read this blog! Jung Sends an Email to Suburbanites! Well… okay, not exactly. It's true that the following quotation doesn't have suburbia directly in mind. But Jung does manage to touch on some of the biggest psychological issues for the outer- and other- oriented suburb dweller of the present day. At least, I certainly think he does. "The externalization of culture may do away with a great many evils whose removal seems most desirable and beneficial, yet this step forward, as experience shows, is all too dearly paid for with a loss of spiritual culture. It is undeniably much more comfortable to live in a well-planned and hygienically equipped house, but this still does not answer the question of who is the dweller in this house and whether his soul rejoices in the same order and cleanliness as the house which ministers to his outer life. "The man whose interests are all outside is never satisfied with what is necessary, but is perpetually hankering after something more and better which, true to his bias, he always seeks outside himself. He forgets completely that, for all his outward successes, he himself remains the same inwardly, and he therefore laments his poverty if he possesses only one automobile when the majority have two. Obviously the outward lives of men could do with a lot more bettering and beautifying, but these things lose their meaning when the inner man does not keep pace with them. "To be satiated with “necessities” is no doubt an inestimable source of happiness yet the inner man continues to raise his claim, and this can be satisfied by no outward possessions. And the less this voice is heard in the chase after the brilliant things of this world, the more the inner man becomes the source of inexplicable misfortune and uncomprehended unhappiness in the midst of living conditions whose outcome was expected to be entirely different. The externalization of life turns to incurable suffering, because no one can understand why he should suffer from himself. No one wonders at his insatiability but regards it as his lawful right…. That is the sickness of Western man…." "No one can understand why he should suffer from himself." Yet we do suffer from our neglect of our inner life and our uniqueness. Sometimes we can be acutely aware of our own inner sense of being unfulfilled, the inner man or woman "staking his or her claim". Yet that is the very point at which our own true individuality is calling to us, and beckoning to us to be explored. If you have any comments on this blog post, I'd really like to hear them. Also, if you have any topics or subjects that you would like me to discuss, I'm more than open. I really value the input of those who take the time to read this blog! In 1931, over 75 years ago, C. G. Jung gave an interview to an American journalist in Vienna. In it, he laid out a description of what he saw as some of the central dilemmas facing Americans. In this moment, we are in the aftermath of the subprime mortgage and financial crises, and hopefully at the beginning of some kind of recovery from those fearful events, and the anxiety associated with them. I believe that Jung’s remarks still speak very directly to Americans – and equally to Canadians – as we are unavoidably forced to re-evaluate what is fundamentally important in our values, our psyche and our lives. "The tempo of America is being taken as a norm to which life should be directed…. What America needs in the face of the tremendous urge towards uniformity, desire of things, the desire for complications in life, for being like one's neighbours, for making records, et cetera, is one great healthy ability to say 'No.' To rest a minute and realize that many of the things being sought are unnecessary to a happy life, and that trying to live exactly like one's successful neighbour is not following the essentially different dictates, possibly, of a widely different underlying personality, which a person may possess and yet consciously try to rid himself of, the conflict always resulting in some form, sooner or later of a neurosis…. We are awakening a little to the feeling that something is wrong in the world, that our modern prejudice of overestimating the importance of the intellect and the conscious mind might be false. We want simplicity. We are suffering, in our cities, from a need of simple things…. At this difficult anxious time, the world situation confronts us with fundamental choices about how we will see our own lives, how we will define ourselves, and what we will value and choose as we move forward in our lives. Jung seeks to brings us back to recognizing and living out of the reality of the psyche, and to seeking to be conscious of the whole of what we are as human beings, which is the core of a meaningful life. Get "Vibrant Jung Thing" posts delivered to your email using the "FeedBurner" box in the left column. Almost all therapists experience it: the phone gets more and more hyperactive the closer the calendar gets to December 25. As the holidays get nearer, more and more people call. While for many people, the holidays may bring great joy, for many others, they bring a sense of depression, an empty feeling, or even positive anger. This season of the winter solstice is filled with incredible images of light and optimism. Paradoxically, it also sheds light on a lot of the darker places in our lives. Often these are places that we would rather not look at or bring to consciousness. But growth is to be found in exploring the very places that we would rather not go. Contrary to the glowing images of togetherness, family and fellowship with which the media bombard us at this time, many people experience intense loneliness during “the holidays”. These days can be times of real difficulty for many people whose lives don’t fit the conventional patterns adopted by the majority of people. What is more, people can often get the message that they are “supposed” to be together with others at this time of year, and that there must be something wrong with them if they find themselves alone. But that is not the case. Being alone, and even being lonely, is a part of human experience. It does not imply pathology or blameworthiness, although it can be more than difficult enough to experience it. On the other hand, just because someone is in a family structure or way of life that looks like the images of “family togetherness” portrayed by the media does not mean that there is any less holiday loneliness or depression in their lives. Many people have to contend with deep experiences of loneliness right in the midst of their marriages or family relationships. It can be excruciating lonely to be locked in a relationship with someone who does not see us, who is completely oblivious to our needs, or whom we discover to have values that are 180 degrees away from our own. Also, for those who have to deal with the reality of betrayal in intimate relationships by those in whom they have previously put their trust, Yuletide with its memories of trusting togetherness can be excruciating in its pain. For many, it’s not so much that the present reality of the holidays clashes with the warm memories of the past. For many, the associations with Christmas include terrifying memories such as an alcoholic parent coming home drunk and starting fights, engaging in abuse, or knocking over the Christmas tree. For others, the pain of the holidays comes from the pain of a childhood sense of expectation that went nowhere. The child whose sole parent had to working killing hours in the hospitality industry over Christmas Day, and who met each Christmas eve with the expectation of a present or even just close family times that never came to pass often grows up to be an adult with a deep Christmas wound, often expressed in anger, resentment or just plain hatred of the season. Many people are acutely aware of the deep religious feeling that used to characterize the Christian experience of the Christmas season. Even though they cannot enter into the expressions of faith of the past, or perhaps even of their own youth, they feel that there is something deeply wrong with the sentimentalization, commercialization and overall bad taste that they see in the way that we currently keep the season. Perhaps there is value for us in reaching back into the human traditions that link us to the ancient rituals of the death and rebirth of the sun at the time of the winter solstice. For ancient human beings, this season entailed both the awareness of the decline and weakening of the sun, as well as its subsequent renewal. There is deep psychological truth in this. If the sun in its light and warmth-giving aspect is to be seen as the truest symbol of the conscious mind, its decline into the darkness of the winter solstice represents the descent of consciousness into the awareness of failure, weakness and brokenness. This is the shadow journey that the human psyche, like the sun, must make to complete its journey. It is only in this awareness, and from these ashes, that the upward journey of the sun and of consciousness can begin again. Similarly, it is only in the awareness of the places of brokenness in our lives and often in the live of the child within us that we can begin to find our way forward again in new hope and in growing, life-giving new awareness. It is possible to see in holiday depression and anxiety nothing more than a manifestation of the failure and decay of once-meaningful religious rituals. It is possible then to meet the season with a cynicism that protects us from our own disappointment and sense of loss. But it is also possible to take in the season with a different kind of more receptive attitude. This second attitude doesn’t deny the aspects of the shadow that are highlighted by our overly sentimental, overly light celebration of the season. To recognize the places in our lives where our sun is in decline takes courage. To believe that new life and new value are to be found just in those very places, where the sense of pain, disillusionment and abandonment are greatest, takes even more. It takes the courage and hope of the miracle of the re-born sun.